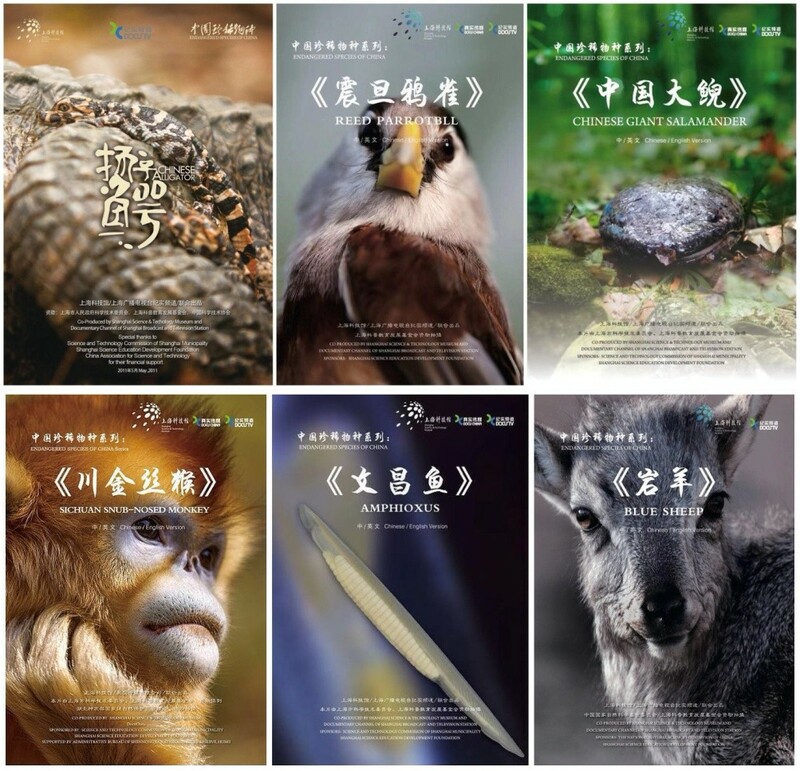 The Shanghai Science and Technology Museum won the second prize at the 2018 China Science and Technology Awards held on January 8, 2019 in Beijing for its series of documentary films about endangered animal species unique to China. The SSTM became the country’s first science museum to win the National Science and Technology Award with a popular science program. The documentary program is led by Professor Wang Xiaoming, curator of the SSTM and an expert in zooecology. Museum experts have turned out 14 episodes of the film, covering species such as the Chinese giant salamander, the Yangtze alligator, the reed parrotbill, the blue sheep, the branchiostoma belcheri, the golden snub-nosed monkey, the Eld’s deer, the giant panda and so on. The documentaries comprehensively demonstrate the biological habitat and conservation status of the country’s endangered animals and at the same time tell the Chinese cultural stories and allusions behind these animals. The films blend scientific explanations and artistic expression in the way of telling stories. The popular science documentaries have pioneered a new production mode, which is led by scientists in cooperation with popular science experts and film and TV professionals. The documentaries have been aired on over 10 public TV channels and seven major new media websites from home and abroad. They are also displayed at over 100 science popularization venues, dozens of schools and other public media on the subway trains and planes, covering 100 million audiences across 40 countries.